We offer a large selection of Harley-Davidson® fashion and functional apparel and riding gear. From the novice rider taking our Rider's Edge course, to the "regular" customer looking for biker fashion in Harley-Davidson® styling before the next bike rally, we have it all. Visit the American Eagle Harley-Davidson® MotorClothes® Department for all of your motorcycle apparel fashion needs and wants today! We are conveniently located in Corinth, near Lewisville, Denton, and Carrollton, Texas. DOT or Snell Foundation Approved. Available in 1/2, 3/4, OR Full Face Styles. Venting and removable, washable Coolmax Liners. Face Shield Options for most models. Stop by AEHD to try on our great selection of Harley-Davidson® and Wiley X Eyewear. Pre-Curved Fingers and Ergonomic Thumbs. Leather, Textile and Mesh Styles. Comfort Pads and Slip Resistant Palms. Styles for cold weather, rain and warm weather. Abrasion Resistant Mesh , Top Grain, Drum Dyed Leather, or Ballistic Nylon. Removable Liners and or Venting. Zippered Cuffs and Snap Down Collars. Removable Body Armor and Body Armor Pockets. Hydration pockets and removable hydration packets sold seperately. Oil Resistant, Slip Resistant Soles. Top Quality Leather and Textiles for Safety and Support. Lace Up, Pull On, or Zip Up Styles. 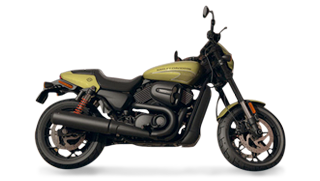 Manufactured by Wolverine with Riding Safety in Mind. We offer men's and women's denim apparel. Men's denim jeans: Bootcut, Straight Leg, Relaxed Fit (heavy weight and medium weight). Women's denim jeans: Bootcut, Countoured Bootcut, Straight Leg (Low-rise, Mid-rise and High-rise).